Hey everybody!! I had some life changes over the past couple of years and didn't have the mental/emotional/creative bandwidth to do the things that bring me peace, but 2 moves later I'm trying to use my Zing for the first time in what feels like FOREVER. I bought some sheets of the Cricut adhesive foil to create a super girly house number for my Victorian beauty. I wasted all of my vinyl trying to get the settings back to where they should be and I really don't want to waste all of this too. I'm using the blue blade. Pressure of 90 still didn't cut all the way through, so I upped it to 100. In some places, it still didn't cut through the foil. In other places, it cut clean through the backing paper. There is ZERO happy medium here. I can't find any place where it didn't do one or the other - no clean cuts. AT ALL. Is my blade shot? I'm fairly certain it was new, but could be wrong - It's been a minute. Anyone have any experience with this material? Any help is greatly appreciated! I'm not familiar with Cricut Adhesive foil is it like vinyl or much thinner and actually like foil? Foil? Why are you cutting something thin with the blue blade? You should be using the red blade. If it is not cutting, though I would expect it would be chipped - look at it under a magnifying glass. I do not know what blade holder you are using, but it sounds like you have the pressure way too high. 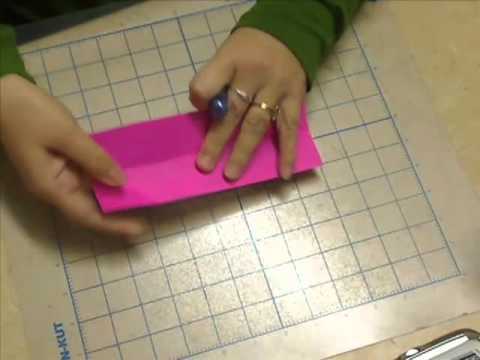 If you are using the knk holder - did you test the blade depth - for foil only a little blade should peek out and when you put the blade holder into the blade carriage, are you using the proper number of post-its above the material loaded mat? 1. Your test shape should have been about 0.3" x 0.3" in size (I use a donut shape) so that you could do 20 tests and waste less than a half inch by 10 inch strip of material. And that's in the worst case. I normally have the setting nailed in 3 test cuts. 2. You should ALWAYS use the red blade with any thin material. The blue blade is only for thick materials like craft foam, balsa wood, cookie dough, etc. I actually meant RED blade. My little glass box with my blades in it was in front of me and I could see the blue blade. ADHD + visual of blue blade = crossed wires. The blade is exposed enough to cut through the material. I will check for chips, I already ordered some new blades just in case. Sandy, thank you for the flowchart!! I had actually done several small test cuts after I realized that it wasn't going to cut like vinyl and thought I had it pretty close when I cut the number which is why I was baffled that it didn't cut through in some spots and cut clean through the backing in the rest. I appreciate everyone's advice. Sorry for being a ditz and putting the wrong blade! !